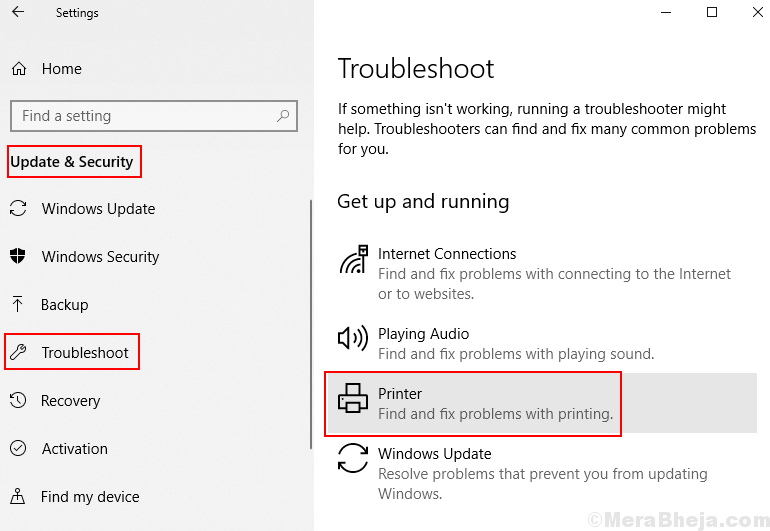 In this post we will fix Printer not activated, error code -30 in Windows 10 Computer. Let us start the fixing procedure. 1 – Press windows key + R together to open run command box. 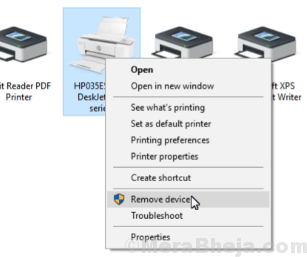 2 – Now , type control printers in it and click OK.
3 – Now, Right click on your printer and choose remove device. 4 – Now, from the top, choose add printer. 5 – Follow the process to add printer manually. 1 – Click on start button. 2 – Now, click on gear shaped icon to open settings. 3 – Now, click on Update & security. 4 – Click on troubleshoot from left menu. 5 – Now, choose printers from right and troubleshoot. 5 – Follow on screen instructions to complete troubleshooting process.